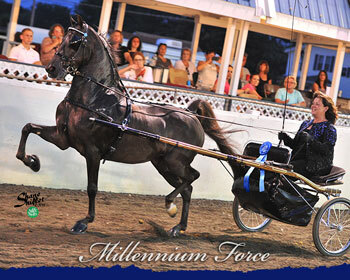 One of the winningest pleasure driving horses of his time, and indisputedly one of the most exciting to watch, this flamboyant and charismatic gelding has enjoyed phenomenal success from New England to Oklahoma City since his acquisition in 2013 under the direction of Anne Benson. 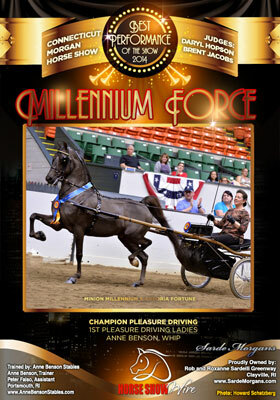 Watching the live feed at the Southern States Regional, Roxanne spotted this amazing talent in the four year old pleasure driving qualifier and when they announced the winner, she discovered it was the sire of her own 2013 filly out of Sarde's Town Flirt, Millennium Force! 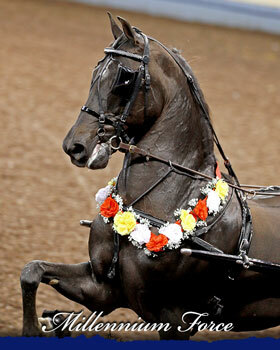 After siring several nice foals, his former owner had sent him to John Hufferd of Triumph Stables to be trained for the show ring. 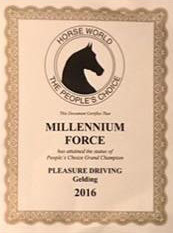 John gelded this nice horse (as we all know a good stallion makes a great gelding) and for the first time in his life, this exciting guy could put his energies into being a star instead of a stud. 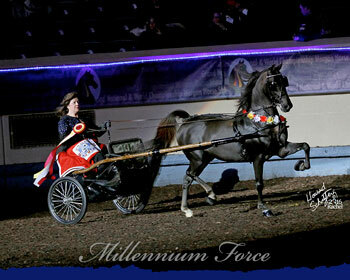 And what a star he was! 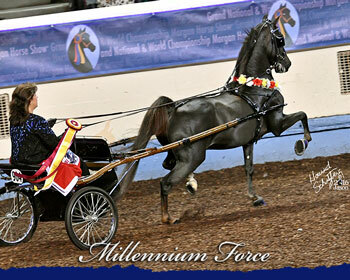 It didn't take long for Roxanne to decide the timing was right and Sarde Morgans acquired this special young horse. 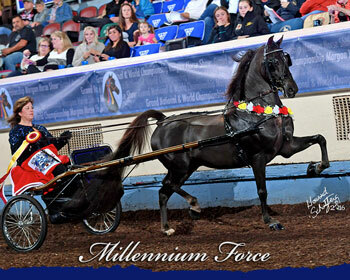 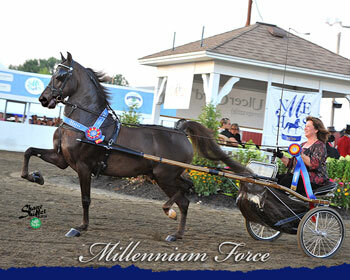 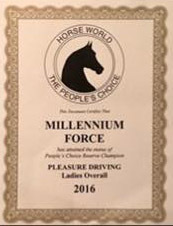 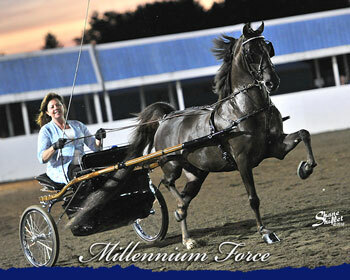 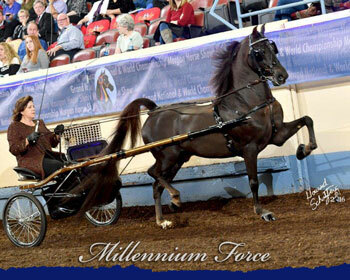 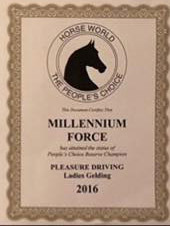 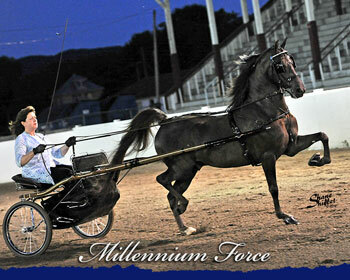 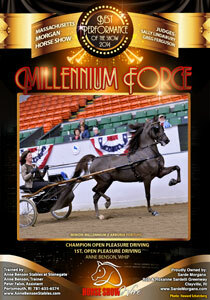 Millennium Force has enjoyed three winning seasons under the direction of Anne Benson, and we look forward to more exciting drives in the future!